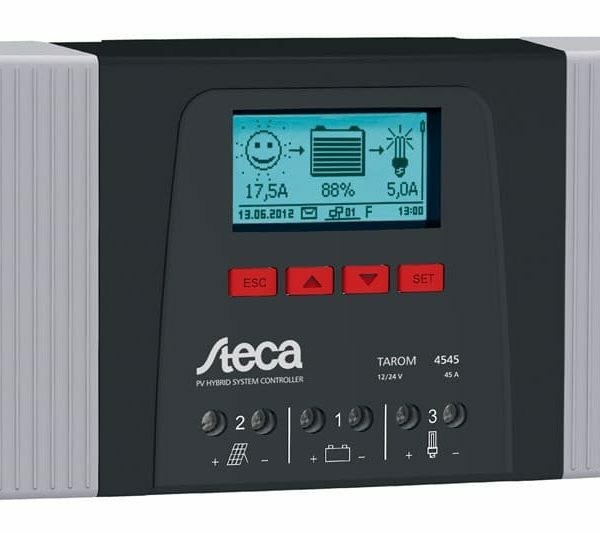 The new design for the Steca Tarom 4545 Solar Charge Controller 48V 45A sets new standards in this power class. A graphic display informs the user about all important system data and enables configuration and adjustment of the controller to the specific requirements of the individual system. Numerous clever functions allow the user to adjust the controller to the particular features of the system in question. Thanks to the significantly improved state of charge determination, the system is optimally controlled and the batteries are protected. 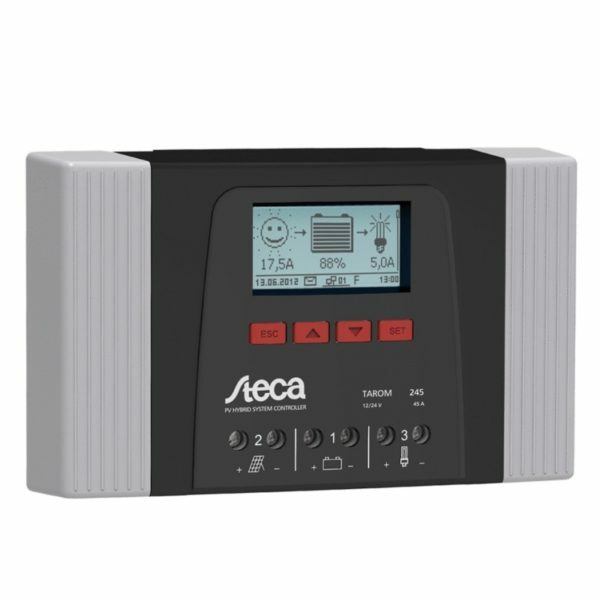 The Steca Tarom 4545 Solar Charge Controller 48V 45A is the ideal choice for larger systems. The integrated data logger stores all important system data. Controller data can be read by the minute via an open Steca UART interface. As an option, an external temperature sensor can also be connected. 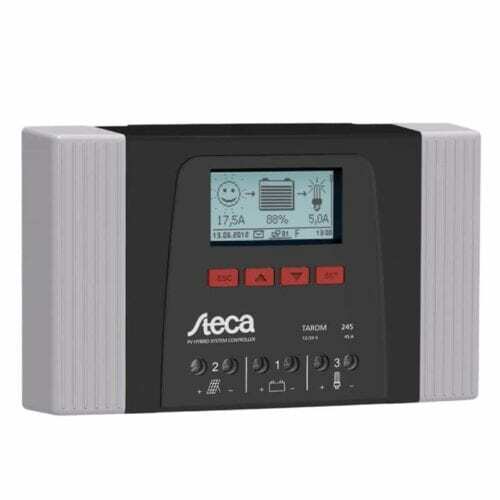 Two additional switching contacts can be freely configured as a timer, a night light function, to start generators or as surplus management. Up to six devices can be connected in parallel and communicate with one another via the StecaLink bus.